A two man operation. The guy on the left breads and fries up the chicken and the guy on the right cuts it up and pairs it with some shredded salad. Despite the wait, it was darn good and I snapped a few pics while in line. 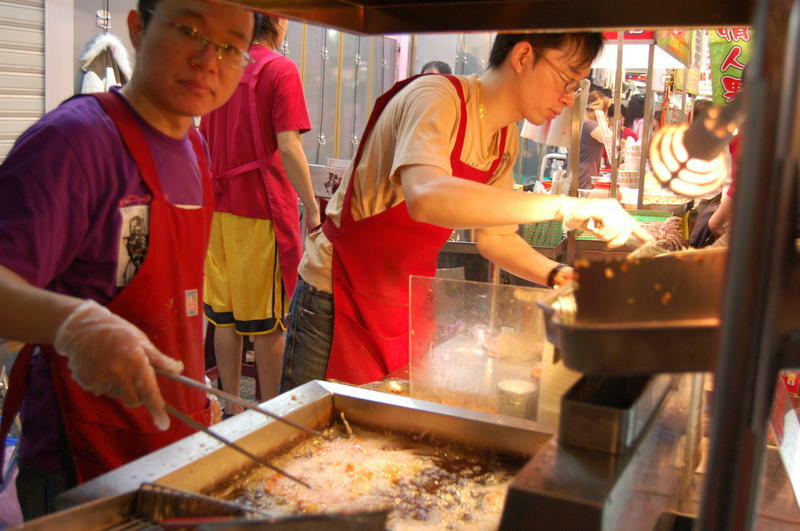 Feng-Chia Night Market. Taichung, Taiwan.